Known to fans as Mr. Incredibeard, San Francisco native Isaiah Webb promises fellow beard enthusiasts one new beard style every Monday — or "Monbeardday," as he obviously calls it. 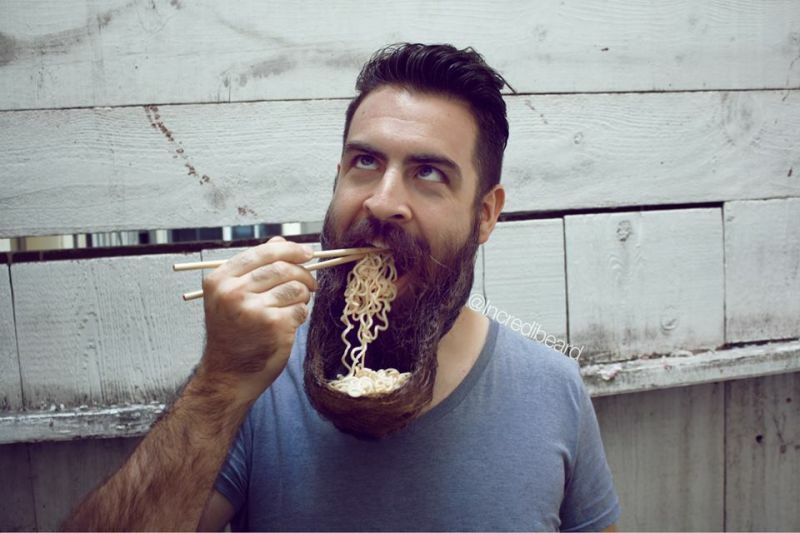 Recently, Webb posted to his Instagram account what is quite possibly his most hipster beard design to date: The Sriracha-flavored Ramen Beard Bowl, which is exactly what it sounds like. Notably absent from the photo shoot was Webb's organic penny-farthing unicycle/ukulele hybrid, which you can just go ahead and assume he owns.